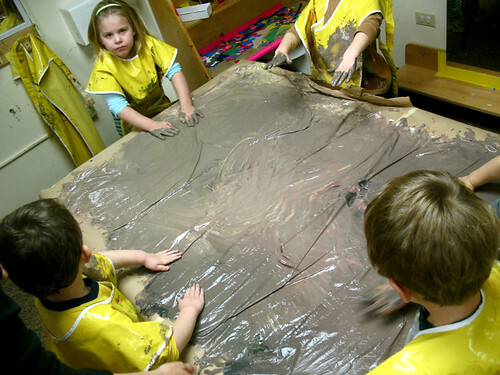 the concept of left and right is one that we may not see the grasping of during preschool. it is a common phrase among preschool educators to refer to “your other left” or “your other right” because many young children simply haven’t mastered it! 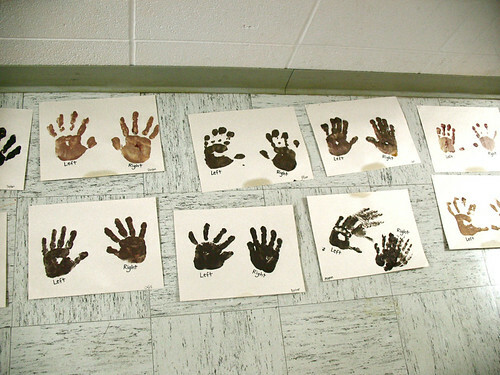 we did some finger painting one day in preparation for a martin luther king jr project and made handprints of each set of hands. 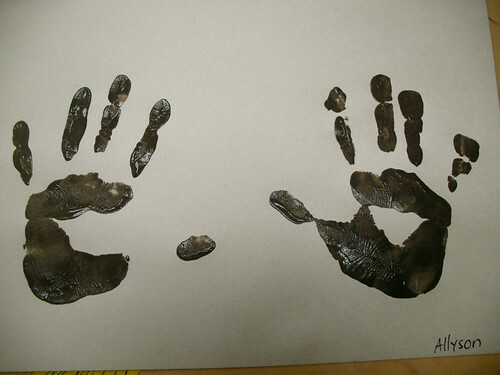 we referred to their hands as left and right as we did it and wrote the words for them. r is for raise your (left) hand!